Erik Meijer is a Dutch computer scientist and entrepreneur. From 2000 to early 2013 he was a software architect for Microsoft where he headed the Cloud Programmability Team. Before that, he was an associate professor at Utrecht University. He received his Ph.D. from Nijmegen University in 1992. His work at Microsoft included C#, Visual Basic, LINQ, Volta, and the Reactive programming framework (Reactive Extensions) for .NET. In 2009, he was the recipient of the Microsoft Outstanding Technical Leadership Award and in 2007 the Outstanding Technical Achievement Award as a member of the C# team. In 2011 Erik Meijer was appointed part-time professor of Cloud Programming within the Software Engineering Research Group at Delft University of Technology. He is also member of the ACM Queue Editorial Board. Since 2013 he is also Honorary Professor of Programming Language Design at the School of Computer Science of the University of Nottingham, associated with the Functional Programming Laboratory. 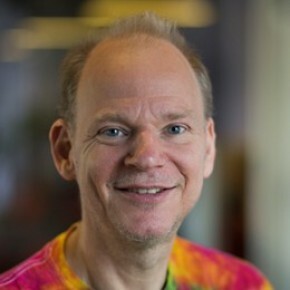 In early 2013 Erik Meijer left Microsoft and started Applied Duality Incorporated.